“Farmer’s Son, Military Career” is an inspiring narration of a man’s incredible journey. The author brings readers on a trip back in time as he looks back on his own experiences growing up, joining the military and learning valuable lessons along the way. Writing this autobiography is the author’s way of showing that while he may be known as someone who bravely served several decades in the Air Force, his life and story comes with other details that are worth sharing. After his brother’s passing and at the suggestion of his wife, Clarence E. “Kip” Vold got inspired to put his own story into writing. In his autobiography, he narrates what it was like growing up on the plains of South Dakota and shared certain meaningful and interesting memories in his journey so far. Besides that, Vold opens up about his experiences and learnings when he was serving in the Air Force. 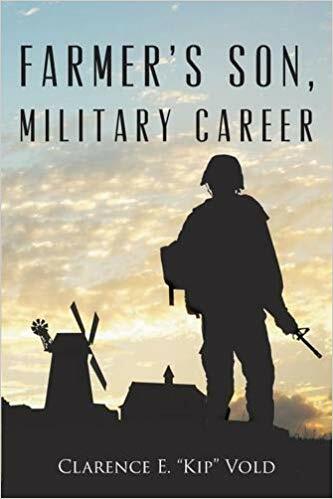 “Farmer’s Son, Military Career” is the author’s way of showing that while he may be known as someone who bravely served several decades in the Air Force, his life and story comes with other details that are worth sharing. Most of all, he reminds readers of the beauty of positivity even during difficult and painful moments throughout their lives. He lovingly shares his life as a farm boy, completing grade school, and surviving blizzards. He narrates how he achieved the highest enlisted grade in the Air Force and carried on many responsibilities during his service. As he talks about the story of his life just as how he remembers it, he also details his family’s history from his Norwegian roots to how his family settled in South Dakota. He also narrates certain stories about his family like how his parents met and many others. Indeed, Vold’s book is not just a reflective narrative about where his life’s journey has taken him. It’s also his way of honoring his roots, his family’s legacy, and his own. Soon, Vold’s heartwarming and interesting autobiography will reach a wider audience as it joins the upcoming 2018 Miami Book Fair. During this affair, readers will find Clarence Vold signing copies of his book so grab a copy and save the date!